Writer's Café – screenplay - You made it here. You must like books! Using these styles, which you can of course copy and customise to your heart’s content, it is very easy to create a smoothly running dialogue, insert scene-changes and descriptions that you feel should be noted. You can use this handy little tool to time how long it takes for a particular part of dialogue to be spoken, and perhaps decide there is too much text, or too little, or that the actors need to speak at a certain speed to put everything in the given time. 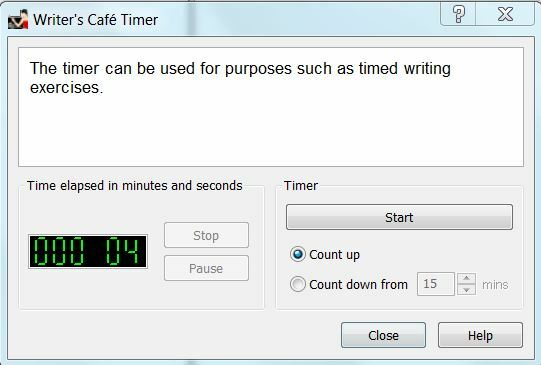 As I am not a playwright, I am probably not even touching half the options that Writer’s Café offers for writing plays, but at least you have now seen that the software is also capable of handling this. Thanks for the email to Writer’s Cafe users which brought me to your website and the hints about WC. I love WC and know I do not use it either enough or completely. I’ll enjoy exploring your website.